Split into two main phases, GreenGenUK recommended installations of solar PV panels to produce free, green solar energy to the property and a biomass boiler to cater for the heating and hot water demand of the property. 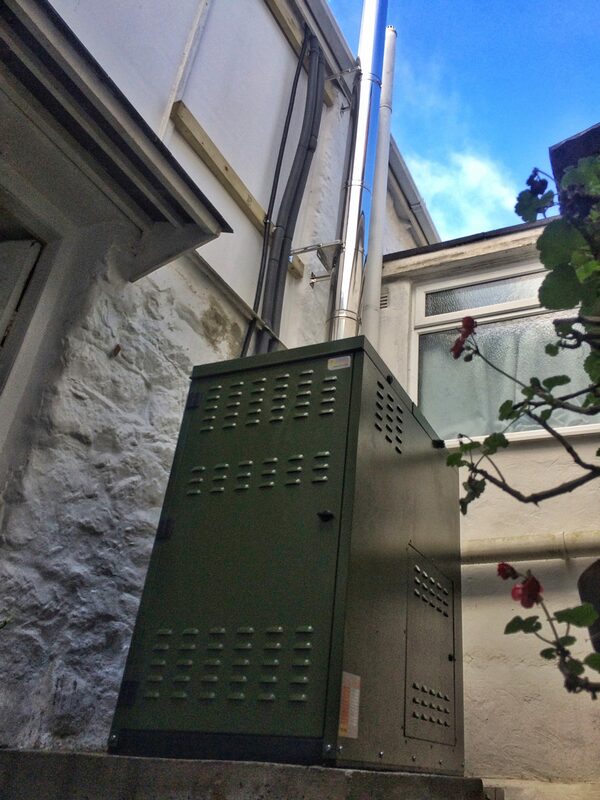 The biomass installation is of sufficient capacity to provide both space heating and hot water to the large, traditional property simultaneously. Biomass boilers replace traditional fossil fuels with more cost-effective, naturally occurring substances, primarily wood chips, pellets or logs. By doing so, biomass boilers are able to generate heat energy far more cheaply in a far more environmentally friendly way than harmful fossil fuel alternatives, like gas and oil. As such, the customer will see significant reductions in their energy bills and carbon footprint which was a primary aim of the project. – Estimated total annual heat output of 39,313 kilowatt hours. – First-year savings against existing oil bills of £1039. – First-year Renewable Heat Incentive (RHI) payments of £2150. Based on these predictions and taking into account for inflation, GreenGenUK estimates this biomass boiler system will pay itself back in 5.65 years. Similar to solar energy’s Feed-in Tariff, the Renewable Heat Incentive, commonly referred to as the RHI, is a financial incentive scheme that was initiated to bridge the gap between the cost of installing traditional heating technologies and the cost of installing a renewable alternative. The RHI pays members of the scheme at a set rate for every kilowatt of renewable heat energy generated by their system. Both domestic and commercial customers switching to a renewable heating solution are eligible for RHI payments and payments themselves are dependent on the heat loss, heat demand and energy efficiency of the property. Payments are made quarterly over a period of seven years. The combination of RHI payments and energy savings made against traditional heating systems mean that renewable heating solutions often repay themselves within the seven year RHI period. For more information on biomass boilers, the Renewable Heat Incentive or any of GreenGenUK’s other renewable heating alternatives, enquire through one of the methods found below. Fill out the enquiry form found at the bottom of this page and have one of the GreenGenUK team answer your queries in your preferred timeslot and method of communication.